What is a customer retention program? What do Ernest Hemingway, E.B White, and Haruki Murakami have in common? These brilliant writers all used daily routines to perform at their best. Being brilliant at retaining customers is no easy task. If customer retention is part of your job description, you have the difficult job of keeping both your customers and your boss happy. It’s not easy to give your customers the help and attention they need to maintain a long-term relationship, while at the same time maximizing sales opportunities and preventing customer churn. Clear-cut customer retention programs will help you to achieve both. 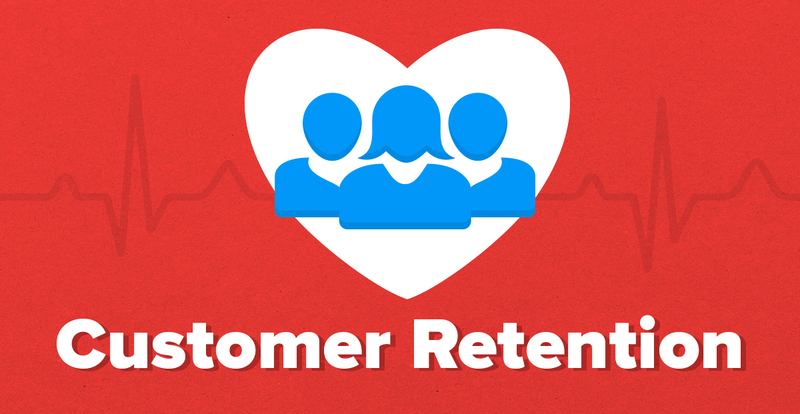 A customer retention program is your best way to keep more customers. When you keep more customers, you lower churn rate, increase company revenue and increase profitability. Companies that increase retention by as little as 5% can grow profits by as much as 95%! For customer retention programs to really work, you need to make them part of your daily routines. Once you master your routines, you will see great improvements. Look at any top performer in their respected field and you will see that it isn’t just about intelligence or skill. It is about mastering your routines. Good routines provide structure to your working day and allow you to build up good habits. Once you get used to routines, you will become more efficient. You will get more work done and see better results. Routines help you to build momentum. By performing a specific task every day, think of how much work you get done over the course of the year. For example, if you run 1 mile a day, by the end of the year you will have ran 365 miles – that’s the equivalent of 14 marathons! When your workday gets hectic, your routines will help you get through the workload, so there is no need for you to stress out! Furthermore, a positive and relaxed attitude will make your brain up to 30% more productive according to Shawn Achor’s TEDtalk The happy secret to better work. Can you imagine what you would be capable of? To help you get started, we have put together five customer retention programs you can implement immediately. The first customer retention program you need to implement into your routine is customer onboarding. Customer onboarding is the process of getting a new customer to use your product or service in the simplest way possible in order to achieve their goals. A good onboarding will show the customer the value of your product or service from the start. This will give the customer immediate gratification for signing up for or buying your product. There are several ways to onboard a customer. Some companies choose a complete self-service concept, other companies go for an approach with only human interactions. Which approach is best for your company is up to you. Here, I will focus on what you can do to create a long lasting relationship with your customer. It’s important to make your new customers feel welcome. Try to call every new customer that is handed over to you by a sales rep. While on the phone or during a meeting, thank the customer for coming on board and for choosing your company. Try to make the customer feel happy and excited to get started. Make it worth their stay. Discuss with the customer how they wish to get started, and align your efforts to match their expectations. Help your customer by offering them extra start-up services. Make sure the customer is familiar with all video’s, webinars, and community websites that you have to offer, to help them get started and to overcome known obstacles. Don’t forget to send a personal welcome email after you completed your first onboarding conversation. You can add a little picture of yourself, so the customer has a face to go with your name and title. A study by Forrester concluded that onboarding can take 2 to 12 weeks for institutions that had implemented partial onboarding solutions with basic workflow capabilities. This shows that in most cases one onboarding call will not be enough. Customer retention starts with a good onboarding program. According to Econsultancy, 82% of companies agree that customer retention is cheaper than closing a new customer. And a report from KPMG shows that customer retention is the main driver of a company’s revenue. These statistics show that taking care of your existing customers is not only cheaper than spending your time acquiring new customers; it will also make you more money in the long run. This is why one of your customer retention programs should be to implement a customer follow-up program. But don’t worry; you don’t have to spend all day calling each and every one of your customers! Are you familiar with the Pareto principle? The Pareto principle says that 20% of your customer database will generate 80% of your company’s revenue. This is why CRM provides great value. You can create clear indicators to help you identify the customers who should receive the most of your attention. This way it will be easier for you to use your time efficient and you will spend your time on the right customers. An easy way to group your customers is to divide them into three basic groups. For example, you can name these groups A, B, and C customers. Or, you can use other names such as Privilege or VIP customers. It is up to you. As long as your CRM system is setup to segment your customers into three basic groups. Make sure to take into account how much time you need for each follow-up routine per customer group. A customers or large accounts: Schedule two face-to-face meetings and follow up on these customers with a quarterly phone call. Ask your customers if they are achieving the goals and how you can help them to improve. B customers or medium sized accounts: Manage these accounts by giving them a half-yearly follow-up call and by sending them a newsletter once per quarter. To keep them up to date on seasonal price offers and other campaigns you might have going on. C customers or small accounts: Sending newsletters is a great way to reach your customers and keep in contact with the smallest companies. Email marketing continues to deliver the best ROI. And when you send out a newsletter or email marketing campaign, don’t forget to segment your email list. Even the best companies lose customers. In most cases, a customer will stop doing business with you because they are not satisfied with either your product or the level of service you provide them. To prevent churn, it is important to identify risk customers as part of your weekly customer retention program. Forrester research shows that it will cost your company 5 times more to acquire a new customer than it does to keep an existing one. Be proactive in your customer service and create an overview of customers with too many open tickets. Clearly, a large number of open tickets is a red flag that you can manage and solve with a proper follow-up. Turning an unsatisfied customer into an ambassador for your company.If you can keep track of how frequent your product is being used, you can most likely produce a list with users/companies that have not used your product for a certain period. Make sure to follow up these customers and activate them. You might have to sell the value of your product again with a demonstration. Create an overview of the customers that called into your office with questions or complaints. These demanding customers are often in need of training or other services to get them up and running. By leaving them to find out everything on their own, they might lose their patience and eventually give up on your product or service. Create an overview of customers with a disrupted buying pattern. If a company has bought every quarter for over a year, and suddenly they don’t order any product for over half a year. It’s time to pick up the phone to see what’s going on. CRM software can help you to create the overview you need. It’s important to determine how you want to create the overview you need. Different businesses need a different approach. As you can see from the example about the customer with too many open tickets, it doesn’t have to be too complicated. When you follow up on your risk customers, make sure you listen to their problems and their needs. To quote Ernest Hemingway: “When people talk, listen completely. Most people never listen.” Only by doing this you will find out how you can help your customer. By identifying the risk customers within your customer database, you will be able to turn them around and increase their customer loyalty. You can prevent churn and increase your company revenue. The Luxury Client Experience Board found that with every time a customer returns they are more likely to buy from you again. After their first purchase, your customer has a 27% chance of returning to your store. When they come back a second and even a third time this percentage increases significantly. By the third time a customer buys from you, there is a 54% chance of them making another purchase. But customers don’t always come back by themselves. Sometimes you have to remind them why they need your products and services. By following up on customers that have not been buying from you for a certain period, you can boost your revenue significantly. A repeat customer has a 60% to 70% chance of converting into a closed sale, say Paul Farris’ book Marketing Metrics. Adobe conducted a similar study and they found that customers who have bought from you two times before are 9 times more likely to buy again than a new potential customer is. Be smart about when you follow up on specific customers. According to Adobe, customers spend 17% more per transaction during the holiday rush. So perhaps you want to target your biggest customers during this period. The same Adobe study also points out how important repeat customers are during a recession. During Europe’s recession, the percentage of revenue from repeat customers was still increasing. Even when economic times are difficult, your loyal customers will continue to buy from you. You can use your CRM system to create a selection of all (large) customers that have not bought from you for too long. This selection is a great starting point to give them a call. By following up on all the customers on your list, you can maximize your sales opportunities. Why spend money on getting in new customers instead of using those efforts to win back lost customers? According to the book Customer Winback: How to Recapture Lost Customers – And Keep Them Loyal, you have a 20-40% chance of success to sell to a former customer. Where the chances of success to sell to a new potential customer are only 5-20%. Lost customers have shown they have a need for your product or service. Making them far better prospects than random leads or companies on your cold calling list. Lost customers already know your company and your brand. You will spend less time educating them about your product. With today’s technology, you can keep track of how people used your product or service the first time. You can use this information to determine which customers to approach and to create tailor-made offers to win them back. If churn numbers are high, it’s wise to be specific about the customers you follow up. As following up on all customers can be too time-consuming, and may cost your company too much money. It’s easy to get an overview of the customers you should focus on. Start with the ones that have referred your product or service to others before, who have never complained, or who have never contacted your support department. You can work your way down from there. Now that you know which customers to follow up on, you can start thinking about the different win-back strategies you can use. However if a customer left you because of poor customer service, you might have to go the extra mile and offer them the more expensive, but more effective bundled offer to win them back. When you are smart about the customers you follow up on you will experience an increase in revenue. In addition, winning back customers can have a positive snowball effect. When you succeed in turning a lost customer into a satisfied customer, it might generate word of mouth advertisement, which will increase your chances of winning over new potential customers as 91% of B2B buyers are influenced by word-of-mouth when making their buying decision. Retaining your customers doesn’t come down to just being likeable or having talent. It requires hard work, the right attitude, and the right customer retention programs. You can start by making sure your CRM system is set up to support you with the customer retention programs you wish to use. By implementing these customer retention programs in your daily routine, you are able to focus on reaching out and connecting with your customers. They will allow you to create long-lasting relationships. Stop trying to manage your customers in an ad-hoc way. When you put in place one or two of the suggestions above, you will start to see an increase in productivity, sales and ultimately, customer retention. What customer retention program does your company use? Is there a customer retention program you would like to share? P.S. If you enjoyed reading this post, please share it on Twitter here! Erik Reijrink is a content creator at SuperOffice. Erik likes to create engaging articles and videos. Erik works from the SuperOffice HQ in Oslo. He bikes to work every day. Even when it snows or rains. You can follow Erik around or connect with him on Twitter and LinkedIn. While a routine to onboard customers is a good idea, I think it may have quite a few drawbacks with internal team members. Routines end up being a cause of boredom and result in employee turnover. How do you combat internal burnout due to what you have proposed? Great list of customer retention programs, Erik! Thank you Yandu, I'm glad you found it useful. Have a great day.